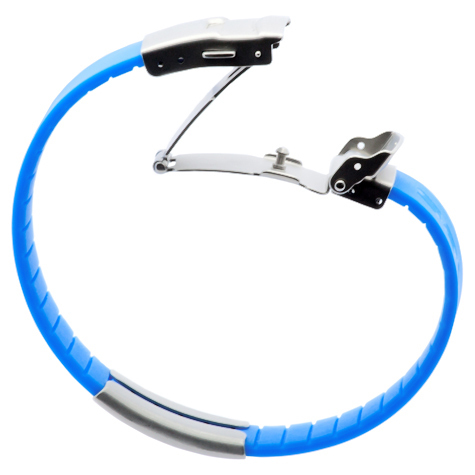 Comfortable wear, looks, and safety are important factors for athletes. 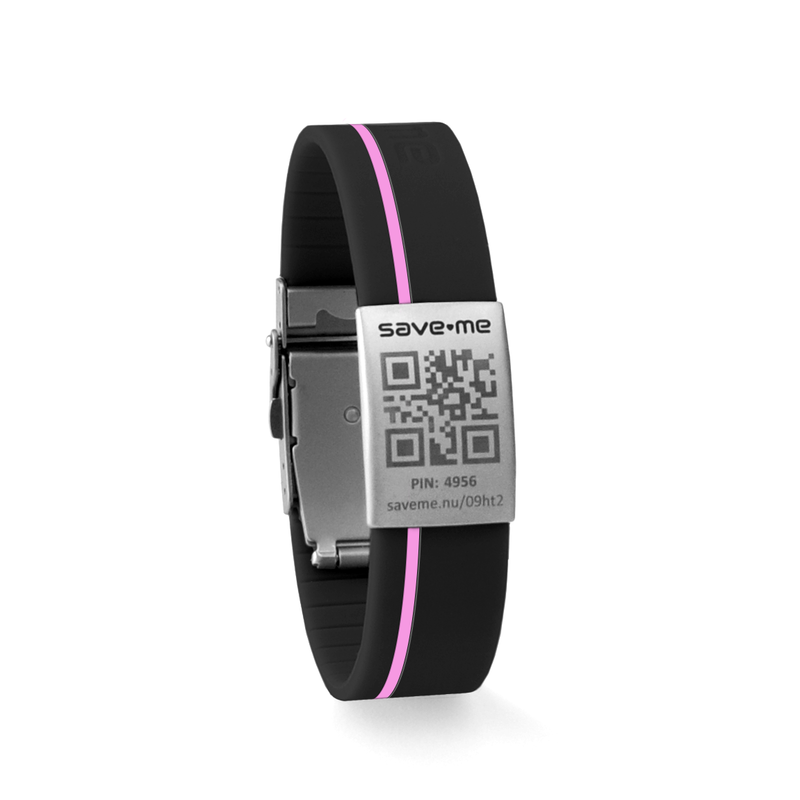 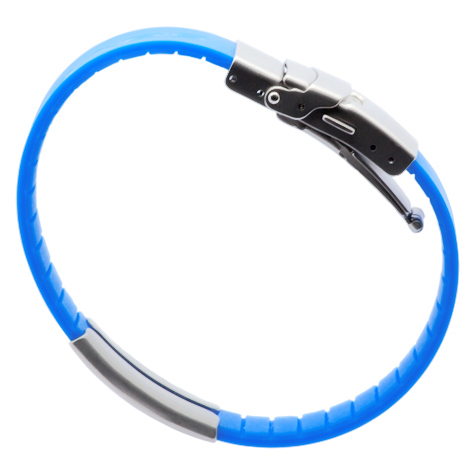 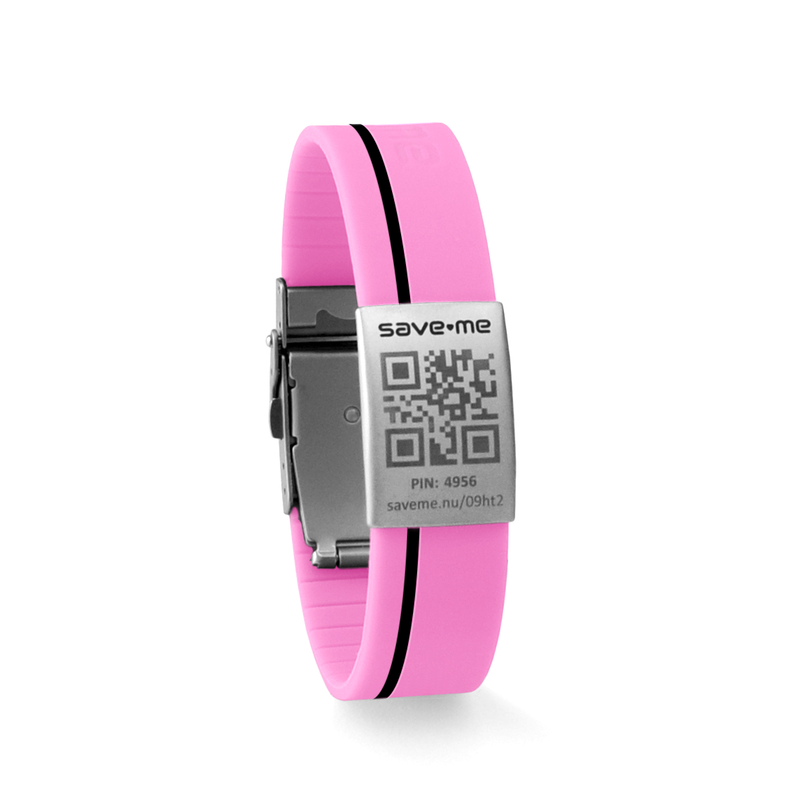 Save-Me has four different, nicely designed bracelets in two colours in the assortment. 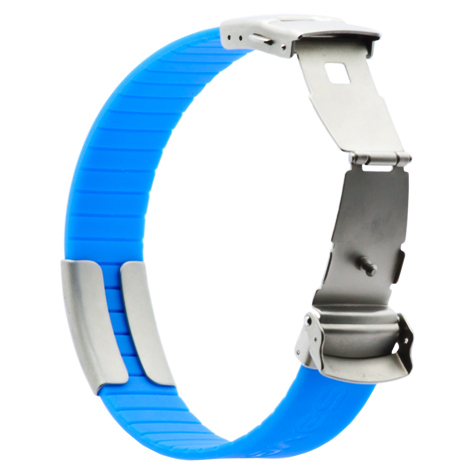 These top quality bracelets are weather resistant, keep their colour in all circumstances (sweat, chlorine), but they can of course be used daily. The text tag, with laser engraved QR and pin code and the safety lock are made of stainless steel.